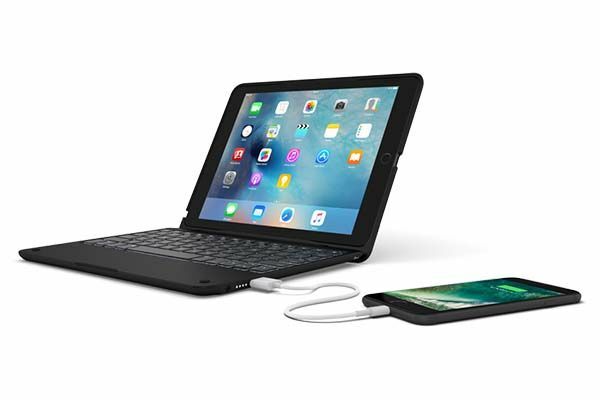 Incipio has released ClamCase + Power, its latest keyboard case for 9.7″ iPad Pro. In addition to delivering comfortable typing experience, its integrated power bank also charges your other mobile devices. The ClamCase + Power is a powerful and versatile keyboard case designed for 9.7″ iPad Pro. 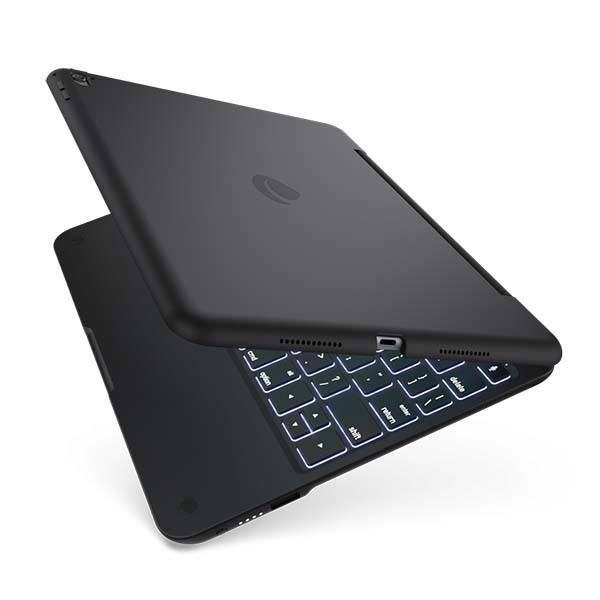 The iPad Pro case measures 9.74 x 0.75 inches, weighs 1.5 ounces, and as shown in the images, the case sports a low-profile and sleek completely black appearance, and the matte finish lets you comfortably and firmly hold the device when you’re on the move. Same as ClamCase+ iPad Pro case, the ClamCase + Power also features spacious island style Bluetooth keyboard with function keys and backlit in order to provide a fast and accurate typing experience, and its unique hinged design delivers multiple viewing modes and infinite viewing angles. Meanwhile, the keyboard case also features a built-in 6000mAh power bank. Using integrated USB port, it charges your iPhone or other mobile devices, and the battery and Bluetooth 3.0 chip allows the keyboard to work for weeks on a single charge. In addition, its polycarbonate enclosure protects your iPad Pro from bumps and scratches, and integrated magnets allows it to activate iPad Pro’s auto wake/sleep feature. 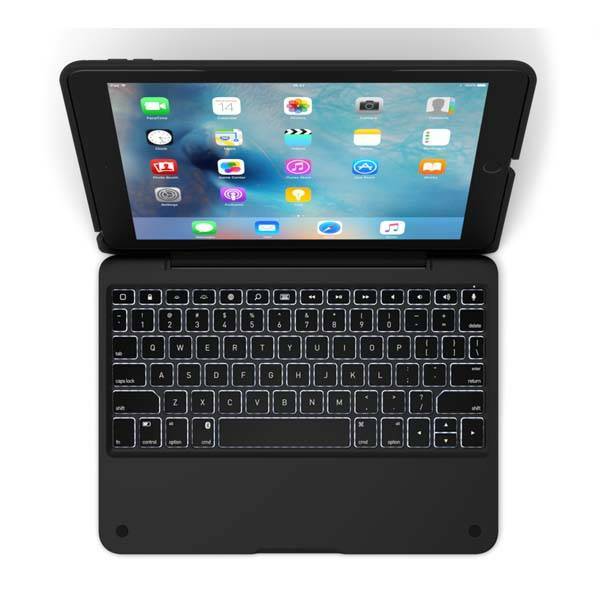 The ClamCase + Power 9.7″ iPad Pro keyboard case is priced at $159.99 USD. If you’re interested, jump to ClamCase official site for its more details.